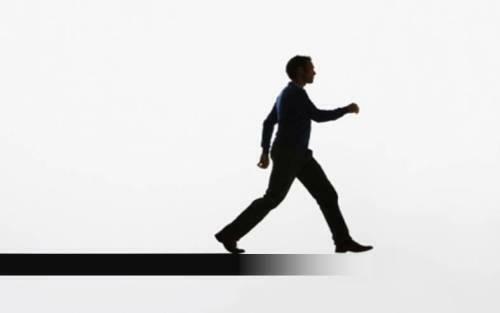 "Trend Is Your Friend... 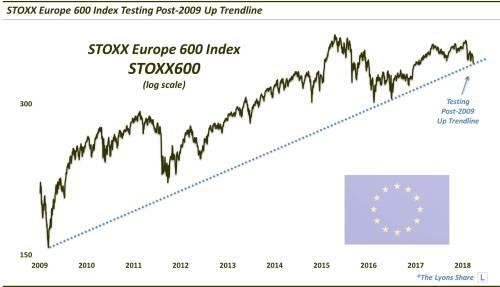 Except At The End"
A vast number of markets are undergoing key tests of important Up trendlines at the moment. 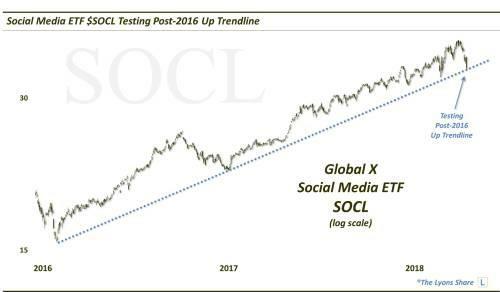 If you follow us on Twitter or StockTwits, you know that we do a regular chartstorm feature called #TrendlineWednesday (though, it is often published sometime later in the week, time permitting). 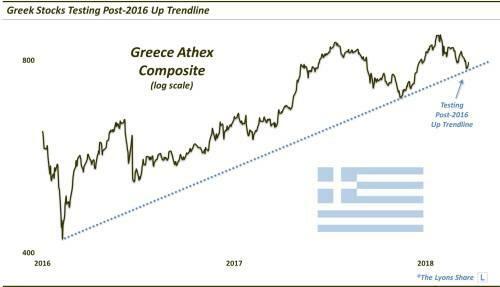 The feature is meant to highlight some of the more important trendlines in the financial markets that happen to be relevant at the time. 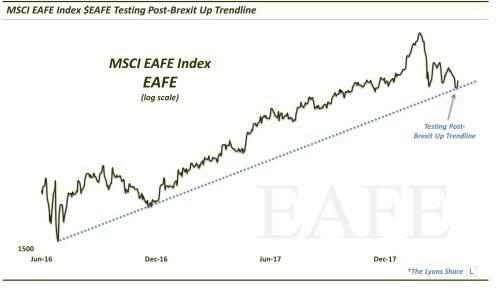 It does not necessarily represent the most sophisticated of technical analysis, but it is a quick way of introducing some potentially important chart developments underway. Today’s #TrendlineWednesday was an especially extensive one, mainly due to the fact that there is presently an abundance of important trendlines in play – all of them being Up trendlines of varying magnitude and duration. 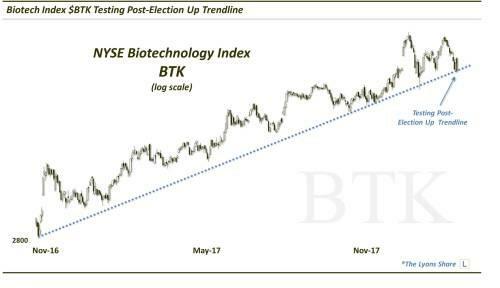 The reaction in these markets at said trendlines may go a long way toward dictating the dominant direction of equities in the near-term. 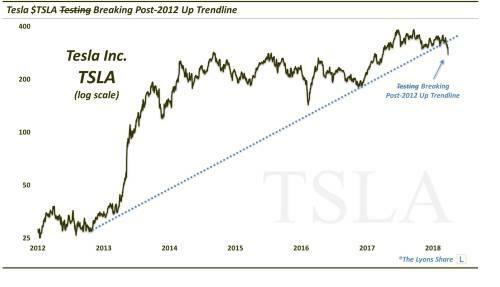 …and individual stocks like Tesla (TSLA) and JPMorgan (JPM). 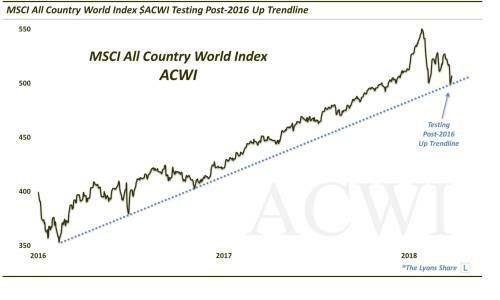 The fate of the global equity bull market may not ride on these trendlines. 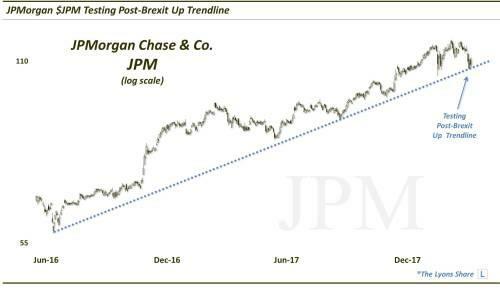 However, the fact that so many key trendlines are in play at the present time does suggest that this is an important juncture for the market.